I can’t call this a frequently asked questions post yet because a couple of these questions have only come up once so far, but since I know if one person asks a question or encounters a problem, there are likely others with the same question/issue, I’ve created this post and will add/update it as necessary. Q. Why doesn’t the pattern number pages correctly when I save paper and print on both sides? A. I considered formatting the block patterns to work that way, but … I think the printers that most people have in their home don’t support this function. Also, in order for the patterns to make sense when viewed on a computer or tablet screen, the pages need to be ordered as they are. If you like to print and save hard copies of the block patterns, they work best if you print, then fold each sheet in half and insert them in the cover/back page sheet (the first full page). Q. 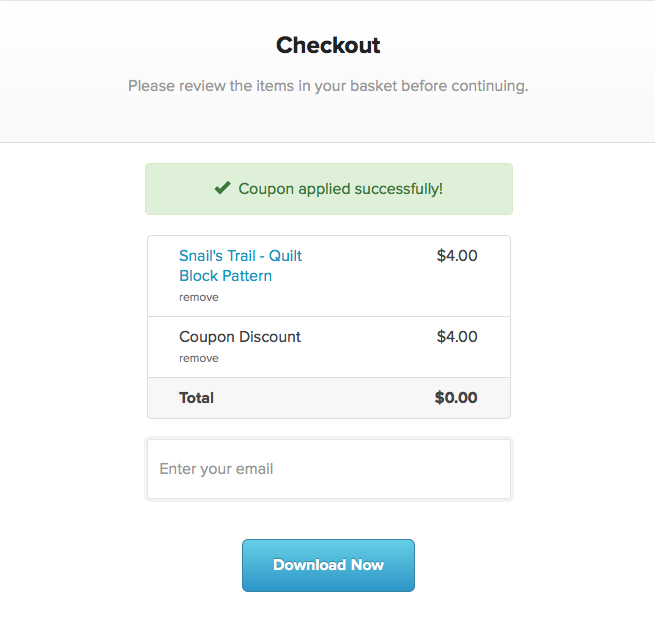 The coupon code doesn’t work. A. The codes do work, though a couple people have had problems with them. 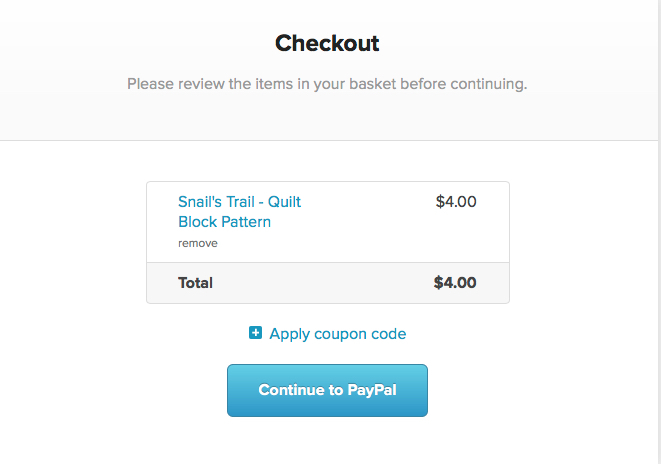 The best way to use them is to highlight and copy the code from the blog post where you find it, then paste it into form on PayHip, making sure you haven’t included the space before or after the code–which is exactly what I accidentally did in this example. If you enter the code manually, be sure to enter it exactly, including upper/lower case. Q. I got charged and want my money back! A. 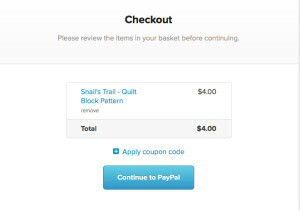 The best way to NEVER be charged when you don’t expect to be charged is to never click a button that says PayPal on it. 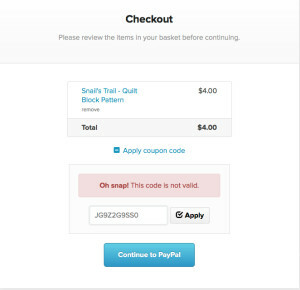 It appears on the initial checkout screen–it’s the blue button just beneath the link that says, “Apply coupon code.” Be sure to click the text and not the blue button. 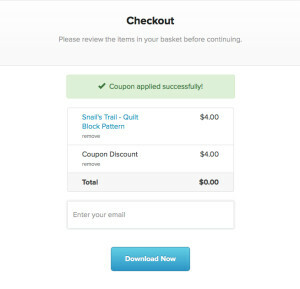 When you do, the screen changes and has a place to enter the coupon code and an Apply link to apply it to the total . 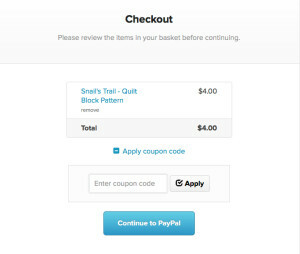 FYI, once you have paid, I am charged and automatically pay–both PayHip and PayPal and those changes don’t automatically reverse if/when I reverse the payment… so please pay attention when you “order” and download the patterns and avoid a process by which I have to pay to provide you with a free pattern.